This spacious townhouse has more than enough room and feels bigger than it is with super tall ceilings and main floor great room perfect for entertaining. Very light bright throughout w/additional bedroom on main with private patio out back. Master suite, jr. suite with laundry all on one floor. Large garage with storage to boot. 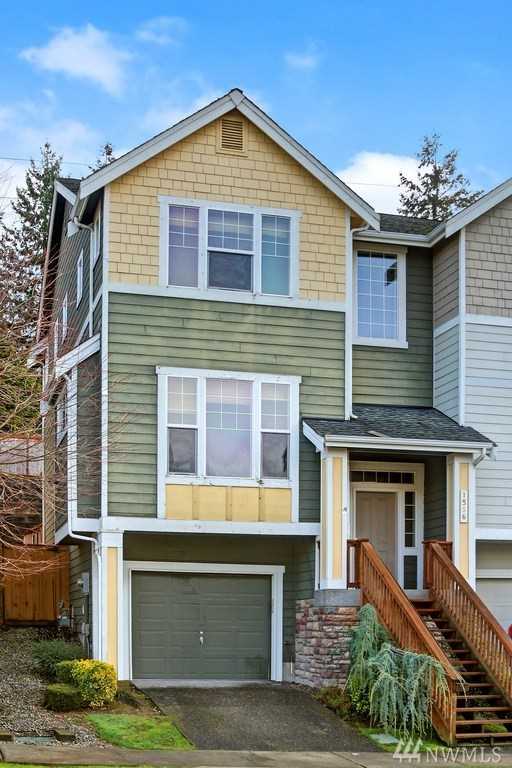 Close to parks, Fircrest Community Center, I5, HWY 16, JBLM, Tacoma Mall, Chambers Bay and what could be better than being inside the UP School district boundary?! Lot Size: 0.05 Acres / 2279 Sq. Ft. Directions:From Center Street go south on Orchard Street, right on Birch St. Left on Cherry Ave, Left on Maple St, right on Tin Berry to home on left. SchoolsClick map icons below to view information for schools near 1556 Twin Berry Ave Fircrest, WA 98466. Fircrest Real Estate at 1556 Twin Berry Ave Fircrest, WA 98466. Description: The real estate listing at 1556 Twin Berry Ave Fircrest, WA 98466 with the MLS# 1404224 has been on the Fircrest market for 84 days. This property located in the Fircrest subdivision is currently listed for $330,000. You are currently viewing the property details of the NWMLS listing at 1556 Twin Berry Ave Fircrest, WA 98466, which features 3 bedrooms and 3 bathrooms, and has approximately 1584 sq.ft. of living area.